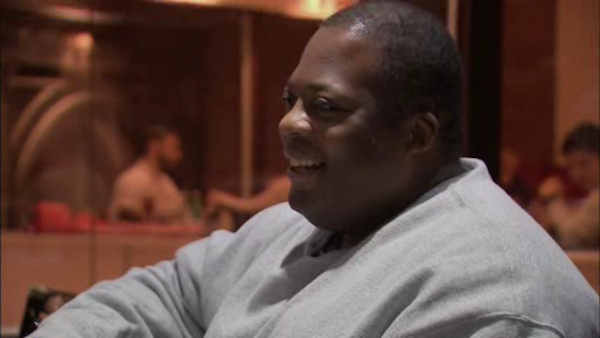 NEW YORK (WABC) -- The family of a man who spent 21 years in prison for three murders he didn't commit is suing New York City. Sharrif Wilson died this year, less than a year after his release. His sister, Tiffany Wilson, and mother, Gloria Wilson, are filing the lawsuit for damages. Attorneys for the family said the case will bring to light new evidence of egregious police misconduct, including fabrication of statements and bias related to Wilson's sexual orientation as a gay man. Sharrif Wilson was 15 years old when he and a friend, 18-year-old Anthony Yarbough, were arrested for the 1992 murders of Yarbough's mother, 12-year-old sister and family friend in a Coney Island housing project. "The level of police misconduct, lying and corruption that led a team of bullying police officers to manipulate and torture a 15-year-old boy is unconscionable and appalling," attorney Nick Brustin said. "The blood on the hands of the NYPD is not limited to the nearly 22 years of an innocent young man's life that wasted away in prison. Sharrif Wilson's death at age 38 less than a year after gaining his freedom is directly attributable to the abuse and neglect he experienced in prison as an innocent boy who grew into an irreversibly damaged and sickly man." In 2013, a judge threw out their convictions based on new DNA evidence. Wilson died in January 2015 of breathing-related problems. The game changer in the case came in 2012, when the city's medical examiner revealed that the DNA found under Annie Yarbrough's fingernails matched evidence found in the 1999 killing of Migdalia Ruiz, who was found raped and stabbed to death in the Sunset Park section of Brooklyn. That murder happened while Tony and Shariff were already in jail, meaning the real killer had struck again and was still on the loose. According to the newly filed complaint, the officers who questioned the two boys were aware of their sexual orientation, which at the time was associated with the HIV epidemic and questionable moral character. Ignoring eyewitness accounts of suspicious characters in the house of the victims the night of the murders, the detectives concocted a theory that the murders were due to family conflict over Yarbough's sexual orientation, despite the fact that his mother was supportive of his openly gay status. They concentrated their questioning on the two innocent young men, provoking them physically and verbally despite the boys' sleep-deprived and traumatized states, and feeding them facts about the crime scene that were later used to justify their guilt. "Knowing now the physical abuse and racial and sexual slurs my brother endured during his short life breaks my heart all over again," Tiffany Wilson said. "Justice will only be served when the individual officers who tortured my brother, lied and coerced him into a false confession are held accountable for the life they took - a life that was so full of promise. I lost my brother twice, and now those who caused his death will be held accountable." The complaint also notes that the detectives knew Wilson was only 15 at the time of the murders, but lied about his age in order to question him at length. Detectives then worked together to falsify Wilson's statements and ultimately coerce him into giving false video testimony. The city Law Department says the case is under review. Eyewitness News was there when Wilson and Yarborough experienced their first taste of freedom two years ago. CLICK HERE for that story.